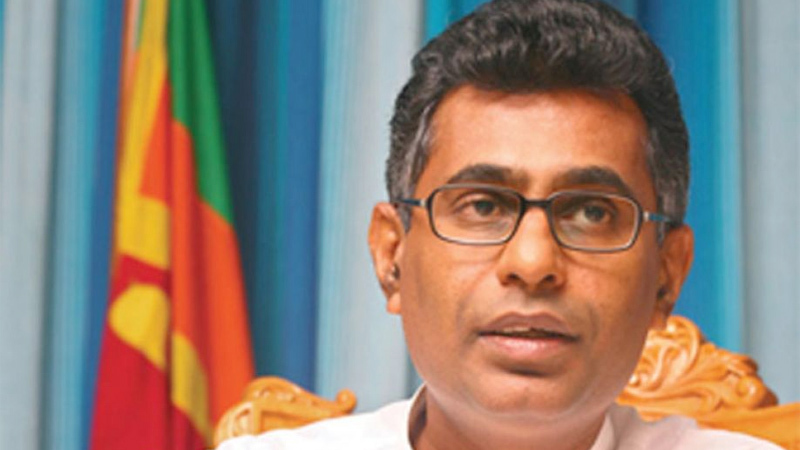 Physical work of the proposed light railway project from Kaduwela to Colombo Fort would commence this year said Minister of Megalopolis Development Champika Ranwaka. Speaking at the launch of Construction EXPO 2018 he said that in addition the Arukkal project in Puttalum, the solution to Colombo’s garbage disposal too would begin this year. The Minister also said that the government is keen in promoting green buildings and all future government building would be built accordingly ensuring energy efficiently. The Colombo Port City too would be built under the Green concept. Meanwhile Chairman Ceylon Institute of Builders, Dr. Rohan Karunaratne said that today the cost of local construction is very high and the main reasons for this were high cost of material, waste of labour and taxes. He also said that local construction companies was facing stiff competition from multinational companies and requested Minister Ranawaka to make regulation ensuring 25% contracts be awarded to locals. He also said that today ‘Green Certification’ is well accepted and requested the Minister to only award building contracts to ‘Green Certified’ building contractors. The 7th building, construction, engineering and architecture industry, Construction Expo will be held from June 29 July 1 at the BMICH, with the there “Towards a Green Sri Lanka”. The event is organized and managed by Lanka Exhibition and Conference Services (Pvt) Ltd in collaboration with the Ceylon Institute of Builders (CIOB) and more than 20,000 to 25,000 visitors are expected at the exhibition. “This year, Construction Expo 2018 will feature numerous concurrent and new events to supplement the main exhibition. Apart from the exhibition, seminars, discussions and meetings with foreign and local construction experts will be held, which would enable local contractors to know and understand the trends and new technology available in the sector,” said Lanka Exhibition and Conference Service (LECS) CEO Aasim Mukthar. A 50 members high profile delegation led by the Business Department of Liaoning Province and Shenyang Zhongquao International Exhibition Co Ltd will arrive in Colombo to attend the Construction Expo 2018. The objective of the visit is to actively promote economic and trade cooperation between Sri Lanka and the Liaoning region of China.